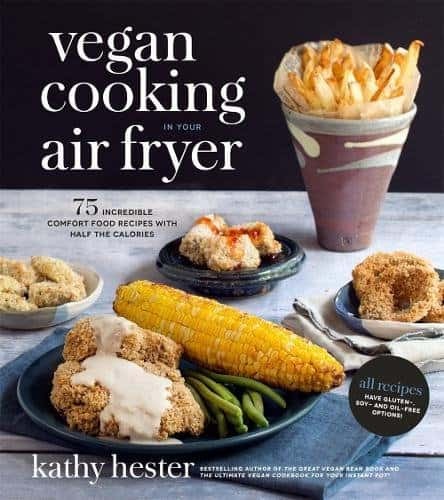 My newest book, Vegan Cooking for Your Air Fryer, was released this week and I’m thrilled. If you don’t have an air fryer yet check out my post about different air fryers and their accessories here. 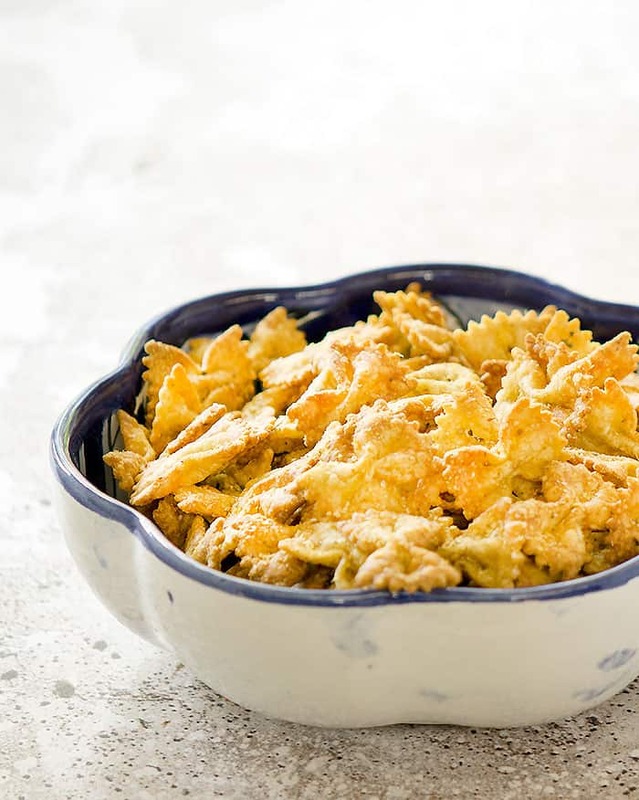 These bow tie chips are so crunchy and remind me of a cheese-cracker. But don’t worry it’s 100% vegan. No air fryer? Try baking them in the oven at 375 degrees until crisp. Just cook the pasta half way, drain, and toss with the seasoning, then cook for about 10 minutes in your air fryer. Easy peasy! This is such a cute snack and a nice change of pace from pretzels and chips. 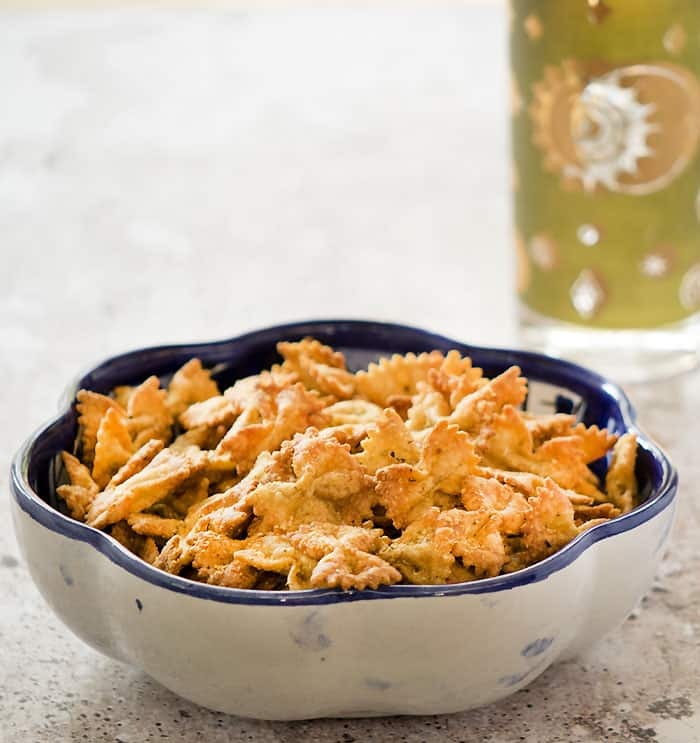 The pasta crisps up and the flavors remind me a little of an Italian-style cheese cracker. Cook the pasta for 1/2 the time called for on the package. 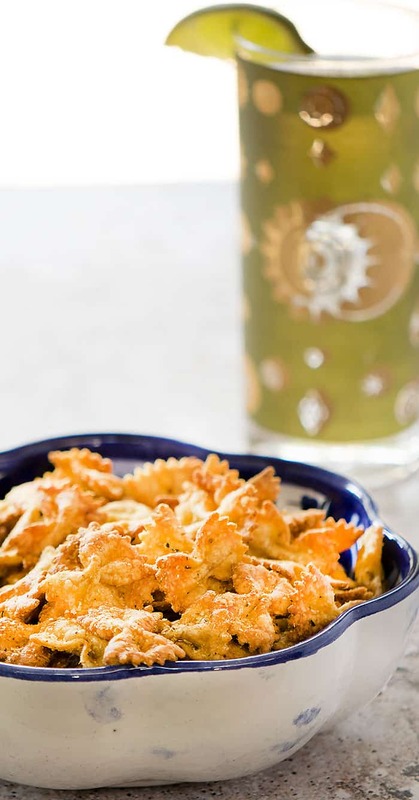 Toss the drained pasta with the olive oil or aquafaba, nutritional yeast, Italian seasoning, and salt. Place about half of the mixture in your air fryer basket if yours is small; larger ones may be able to do cook in one batch. Cook on 390°F (200°C) for 5 minutes. Shake the basket and cook 3 to 5 minutes more or until crunchy. Note: These will crisp up more as they cool. I have to make these! These are something I would have never thought of in a million years!!! I agree with JoAnn. I only have white bowtie noodles on hand–do you think they’d work the same? Where do you get whole wheat ones? I haven’t seen them in a store, and I’m not sure I’d go to the trouble to track them down and order them online. Maybe another shape (penne? fusilli?) would work equally well? White bow ties will work too! I can’t get bow tie pasta that are whole wheat but I can get fusilli. Do you think they could work as well? Always looking for healthy snacks for my family and I will get a Philips airfryer for my birthday so soon I can start experimenting. They should work, but you may need to cook them a little more. It will be okay without it. 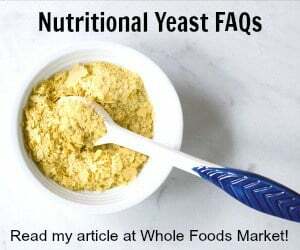 It’s to add a cheesy flavor to the vegan chips. Imported all the recipe into a new system, so there’s bound to be a bunch of mistakes. Let me know if you see any others. I’m going through everything but it will take awhile with 500 + recipes!